In Magazine Publishing, There’s Nothing More Exciting Than the “Launch”. 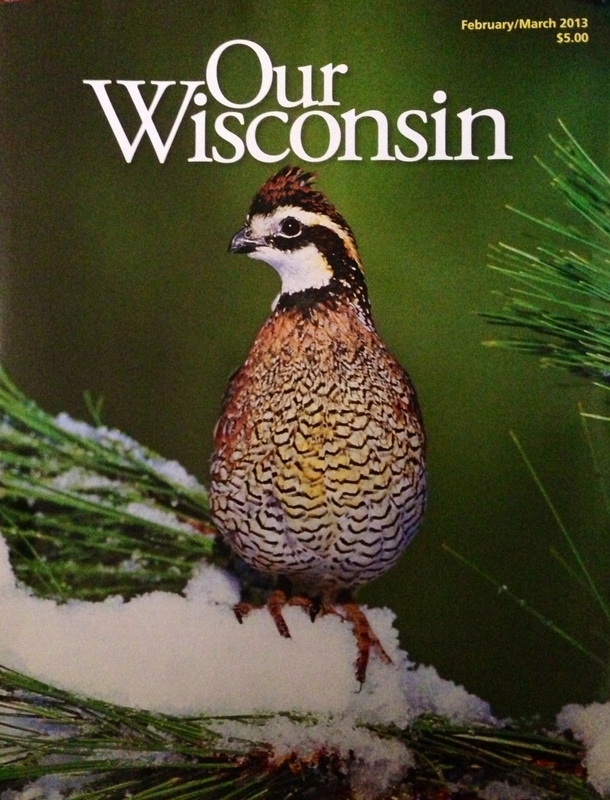 An Excerpt from Our Wisconsin Magazine. In magazine publishing, there’s nothing more exciting than the “launch.” Not many other things in business come close to this kind of adrenalin rush. You begin by coming up with an idea or concept for a magazine you feel is “entirely different”. You’re sure potential subscribers have never seen anything like this before. So you spend months (in our case, we began last spring) planning the format, the design and mostly the content. And then you start gathering that content…which isn’t easy when you don’t have a publication to show anyone. You just have to wave your hands a lot and write lengthy descriptions of what you plan to do. Then you pull all this together…sort through hundreds of pictures and ideas for articles (some terrific, some not even close)…write and design 68 pages…and finallyput the first issue on the press, printing enough to “test the market”…. And it drives you crazy. You wait for more than a week for the first response…any response, to see what total strangers think of your “baby”. “Inventing” a magazine is much more personal than inventing a lawn mower or a toothbrush. It’s more revealing of who you are; it’s an extension of your personality. There’s a lot of you between those pages. So the fear of rejection is greater. After you put that sample issue in the mail, you’re like a field goal kicker with the game on the line, with its heel or hero element. So you wait as the ball sails…for a long week or more. If, when the early responses begin trickling in, you learn readers don’t like the first issue, it hurts. To a degree, it’s as though you learned they don’t like you. But when you learn they like it–and some people even say they love it–wow! That ball is sailing through the middle of the uprights, and every subscription is a pat on the back. And the people said AMEN! What’s the magic formula for newspapers to survive in a digital age? Michael F. Rooney, the chief revenue officer and senior vice president for the Consumer Media Group, at The Wall Street Journal and I had a candid conversation about the ever-changing media landscape. 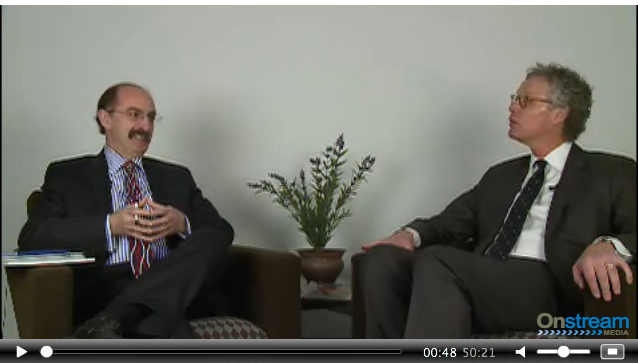 This is the first Mr. Magazine™ Live Webcast. A new Mr. Magazine™ forum for insight and exchange with a maverick, experienced, ground-breaking and innovative publisher. Mr. Rooney’s publishing success story shows that he practices what he preaches. Mr. Magazine™ Minute: Rex Hammock, Founder & CEO, Hammock Inc., on the Future of Print and the Difference Between the Know and the Flow. You can call Rex Hammock, the founder and chief executive officer of the Nashville-based Hammock Inc., any name you want, except that of a Luddite. Rex bought his first Apple Mac in 1984, and has been tempted by the Apple ever since. On Twitter he is simply known as @R. He is all over the web, the digital sphere and more. Service of Discovery: The Secret Ingredient Behind the Reinvention of Good Housekeeping magazine. Rosemary Ellis and Pat Haegele Give GH Readers Something They Don’t Get Online: Discoverable Information. The Mr. Magazine™ Interview. Good Housekeeping has been around for almost 128 years and is still thriving today as it did in yesteryears. That is a fact. 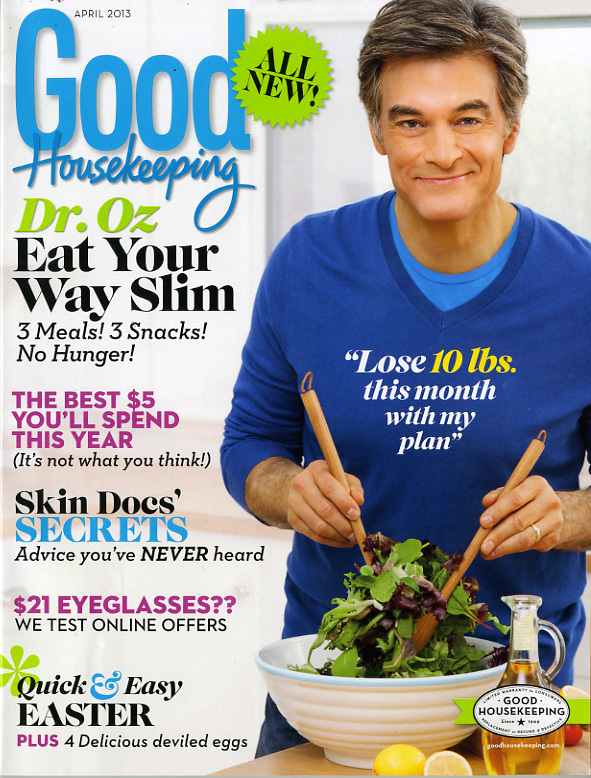 Another fact, like any good magazine, Good Housekeeping has been evolving with each issue since its inception. Case in point–the magazine was featured on CBS Sunday Morning, and another case in point, the recent reinvention of the magazine last January, which introduced a brand new Good Housekeeping. Recently, I was fortunate to visit with the editor and publisher of Good Housekeeping at the offices of the magazine at the Hearst Tower in New York City. The entire history flashes in front of your eyes as you walk into the offices of the magazine, passing through the Good Housekeeping Institute. The day I was there it was like a beehive at work, the testing of products that has been taking place for more than a century. Today the winning tested “swimsuits” are put to the test as the models try the winning suits and the photographers snap the pictures for an upcoming issue of the magazine. Passing the Institute, I reach the Good Housekeeping “living room,” and the “dining room,” adjacent to the living room. Unlike any other magazine interviews that I have conducted, there was a real “at home” feeling. Good Housekeeping is an American institution. But what’s the future for this publishing mainstay in the age of digital? Rosemary Ellis, Editor in Chief and Pat Haegele, Senior Vice President, Chief Revenue Officer, of the magazine have seen the future of Good Housekeeping and they are extremely excited about it. Picking the brains of their customers proved both enlightening and fascinating, as extensive research showed that today’s Good Housekeeping reader wants something a bit different than her mother before her: they want convenience, more extreme graphics, with visuals that pop, information between the pages that is so discoverable even Christopher Columbus would be impressed–and they want FUN. The “service of discovery” is at Good Housekeeping’s helm and is what both the editor-in-chief and the publisher believe is most important in today’s magazine. The content must be fresh, conversational and extremely fun for today’s GH reader. The brand with the Seal and the Institute will still provide information about products that the reader loves and can trust, but will now also add an element of engaging discoverability to the mix. Picking up a print magazine is a far different experience than going online, and both captains of this huge ship understand that. Flipping pages in print is always a discovery because the information between the cover and back page is something that the reader had absolutely no part of conceiving, far different from online, where to get information the reader has to ask for it first. And while the reader of Good Housekeeping’s print version discovers surprising and entertaining content, it’s always relevant because of the research and discussion that goes into each issue. Of course, Good Housekeeping hasn’t ignored their digital companion website and other online resources in all of this, having revamped their online presence with the same discoverability. So it’s a win-win situation for everyone, but especially the reader–the most important part of a magazine’s success story. Mr. Magazine’s™ Seal of Approval has been stamped all over this reinvention for Good Housekeeping’s future. It promises to be an exciting and entertaining tomorrow over that digital horizon. Read my entire interview with Rosemary Ellis and Pat Haegele at the Mr. Magazine™ Interviews here. 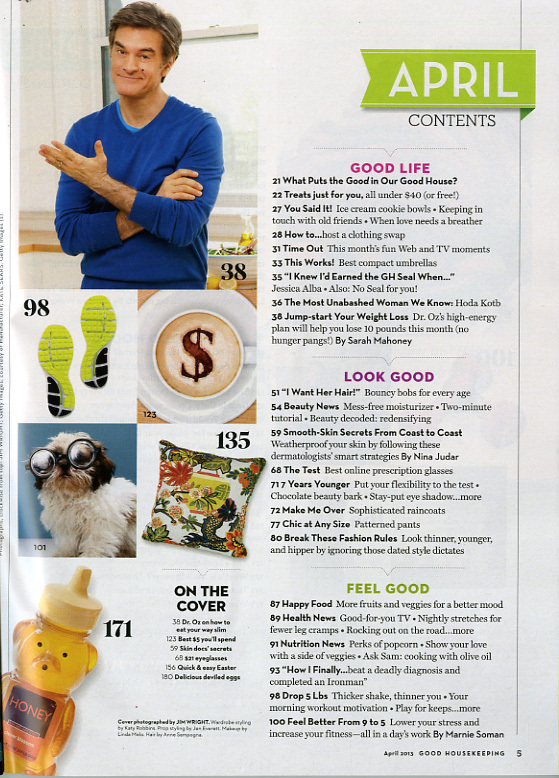 And watch the CBS Sunday Morning segment about Good Housekeeping by clicking on the link below. Michael Wolfe knows a thing or two about brands and branding. Mr. Wolfe has held the publisher’s job at Rodale’s Best Life, Wenner Media’s Men’s Journal, and now Dennis Publishing’s THE WEEK and Mental Floss magazines. Michael loves to talk about brands, not any brands, but rather smart brands in particular. I asked Michael about the secrets behind successful, smart brands. His answer is below in this Mr. Magazine™ Minute. You are currently browsing the Mr. Magazine blog archives for March, 2013.